With TigerMin you can manage your Magento catalog faster and easier. 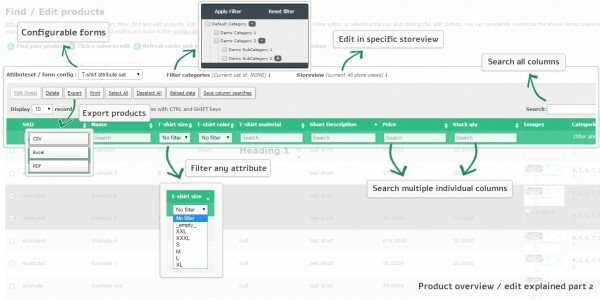 Some of the key features are: superfast Magento product creation, CSV product import, customizable, lightweight search & sort product overview with fast inline editing (bulk), bulk & multiple image upload, duplication of product rows, configurable forms (add your own fields / attributes to the product overview), export of product overview, save state of productoverview filters, and much, much more. Find out the main features below or checkout our video for a basic introduction. Please note that this tour and our video might not be up-to-date with our demo since we release new features very regularly, so make sure to check out our try out demo as well. .
We have secured the TigerMin interface using username and password protection with Magento authentication model. After login you will be able to use the navigation and links in your dashboard. 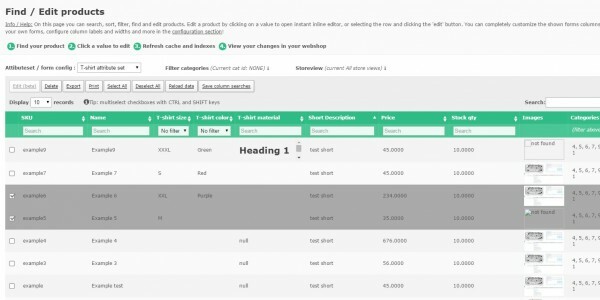 From here you can quickly jump to the configuration, products and tools section. 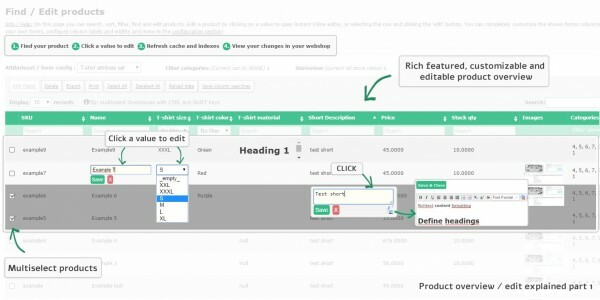 Enter an intelligent and fast product overview with lot of features, including inline editing products. Optimize your experience by configuring forms. 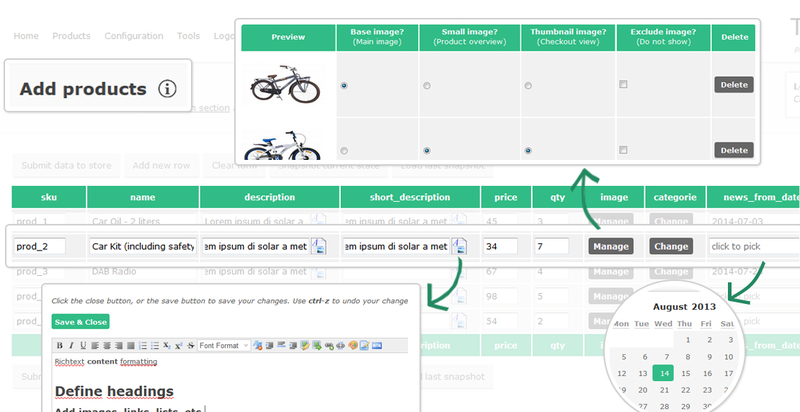 Drag & Drop your inputs order, customize input width, hide input from forms, etc. There is no need to switch back to the Magento backend for cache or index management.